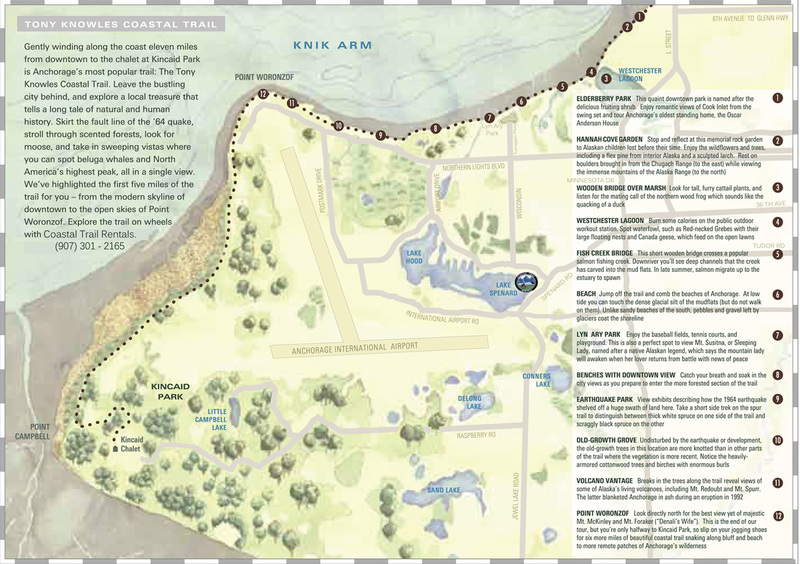 The maps of the trail at http://anchoragecoastaltrail.com/index.php are not well suited for printing. Even the printable map is pretty much illegible. Are there perchance higher quality maps available online that I might be able to print out? It is exactly the same as the "printable map" that you linked to, but much higher quality, so you can actually print it out and use it. I don't know that trail, but check OpenStreetMaps. That database has become pretty good in recent years, even for trails. Paper maps are a good failsafe, and bringing a paper map and compass is a good idea. However, a interactive map with live GPS input is really nice to have. There are various tablet apps out there that allow you to download maps ahead of time. Out in the field, you don't need any WiFi or cell connection. In fact, you deliberately shut these off to conserve power. The app uses the stored maps and the GPS built into the tablet to show you where you are. I use Back Country Navigator on a Android tablet, but there are a number of options out there. BCNav gives you a wide choice of map sources to download, several of which are focused on trails but are derived from the OpenStreetMap database. If you will be in a National Forest, definitely download the National Forest maps for the region you will be hiking in. I've found cases where every map out there was wrong on some obscure trails in a National Forest in Colorado, except for the National Forest map. Not the answer you're looking for? Browse other questions tagged united-states maps trails alaska or ask your own question. What alternative topographic maps exist in the USA? What is an effective way to join a map that is printed on several sheets?